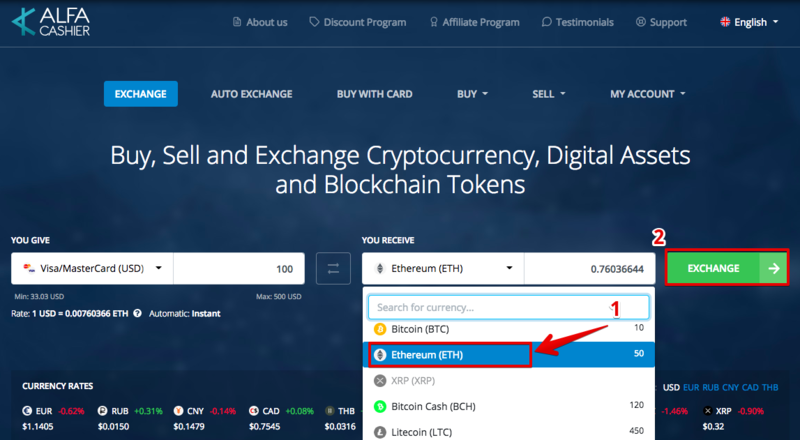 This guide will help you to buy Ethereum (ETH) with credit card or debit card ( Visa/Mastercard) on ALFAcashier. 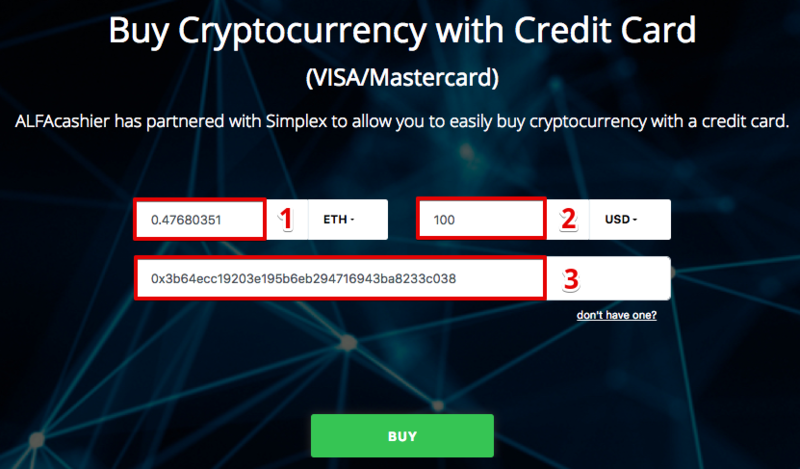 ALFAcashier has partnered with Simplex for smooth cryptocurrency purchase with a credit card. You can buy Bitcoin, Bitcoin Cash Ethereum Litecoin with credit card or debit card ( Visa/Mastercard). 1. 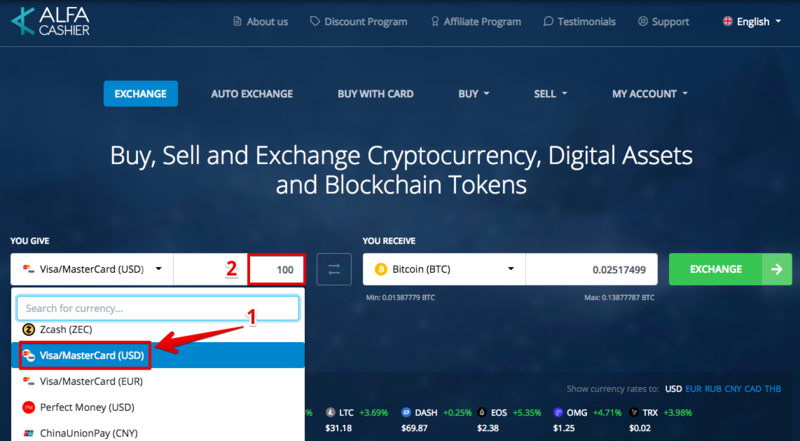 Select the source currency (1) at ALFAcashier (in this example we choose Visa/Mastercard (USD) and enter the required amount (2). 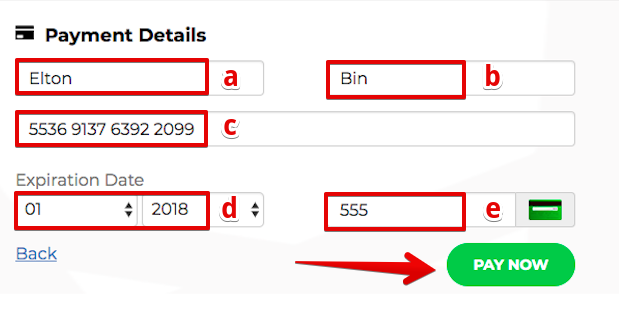 If you change destination amount the source amount will be automatically re-calculated and vice versa. 3. Now you need to enter the required amount of destination currency ( Ethereum) (1) or source amount ( USD) (2) you’d like to exchange. If you change destination amount the source amount will be automatically re-calculated and vice versa. Enter your Ethereum wallet address (3). To verify your E-mail address: simply click on the link in the received email. 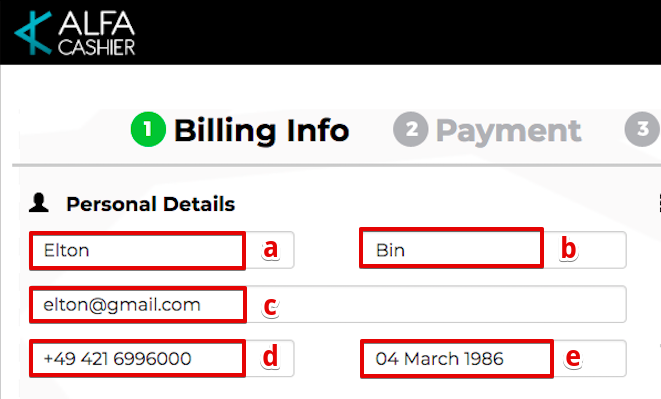 To verify your phone number: input 4-digit code into the form received in SMS. In the right block you can see Order Summary: total amount to send and fees. 7. Your order will be automatically completed after the payment.